The start of a new year is naturally a time for us to look ahead to the future and ask--what do we want to be different about this year? What do we want to be better? All of us want to live better lives. We want to be happier, more fulfilled, more peaceful, and more successful. 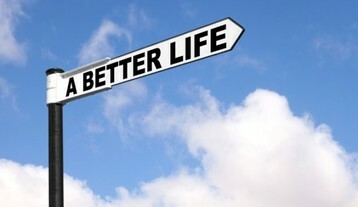 Maybe you want to be a better friend, a better parent, a better partner, or just a better person. A Better Life explores these questions through the lens of Scripture and the teachings of Jesus. If you’re looking for wisdom on how to live a better life, God’s Word has never been more relevant! A Better Life: Week 3 from New Roads Catholic Community on Vimeo. A Better Life: Week 2 from New Roads Catholic Community on Vimeo.